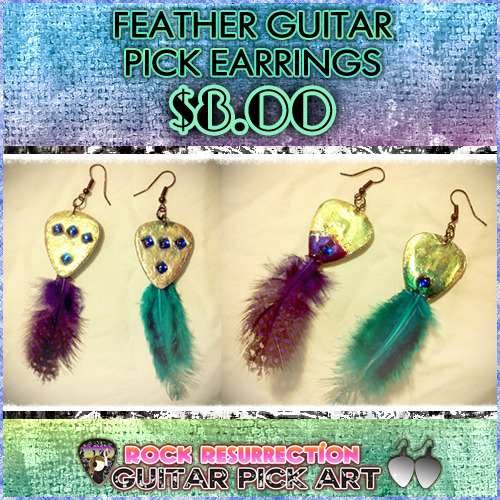 Guitar Pick Earrings with feathers! These feathered guitar pick earrings were painted with iridescent polish and glitter. I added blue gems on each side, one earrings has a purple speckled feather, the other a teal speckled feather. They come with bronze colored fish hook style backs.